Peace of mind. The Elite Impression is the icon of style and comfort. Available in a whopping six different colors with black trim, this bag is sure to make heads turn. Consider the Impression tops in its class of single carry bags. The Impression has two large air-vented pockets and a shoe shelf inside the bag, which means you won't run out of room for all your bowling accessories. 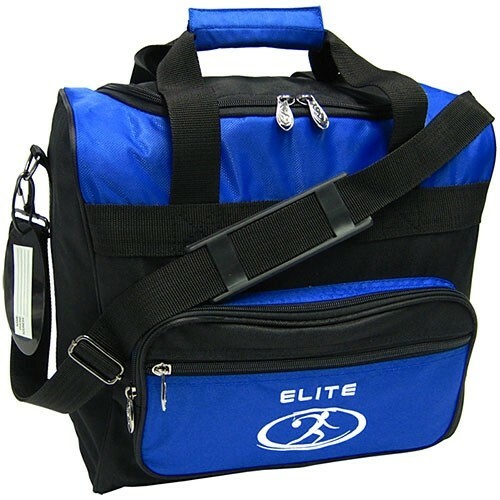 Due to the time it takes to produce the Elite Impression Single Tote Blue/Black ball it will ship in immediately. We cannot ship this ball outside the United States.